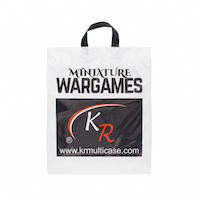 Our printed plastic bags are made from biodegradable plastic and are available in a wide range of different sizes. Print any design from a single colour logo to a full-colour image. View some example bags below or contact us today for expert advice and an instant quotation. Our wide range of printed plastic carrier bags includes flexi loop, patch handle and T-shirt/vest plastic bags. Printed clip handle carrier bags are also available in soft LDPE polythene for achieving the highest standard of quality. Printed plastic bags are typically used by all of the top high street retailers. 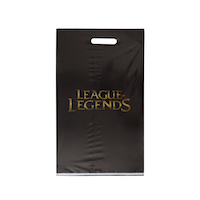 We also supply custom made printed mailing bags. Fill in your details and request a quote for your own.